St Petersburg — Russia’s Gazprom expects record high gas sales this year in Europe, CEO Alexei Miller said on Friday, downplaying the threat posed by imports of US liquefied natural gas (LNG). Miller said on Friday that the Russian gas exports to Turkey and Europe outside of the former Soviet Union may exceed 205-billion cubic metres (bcm) this year, up from 194.4 bcm last year, also a record-high. 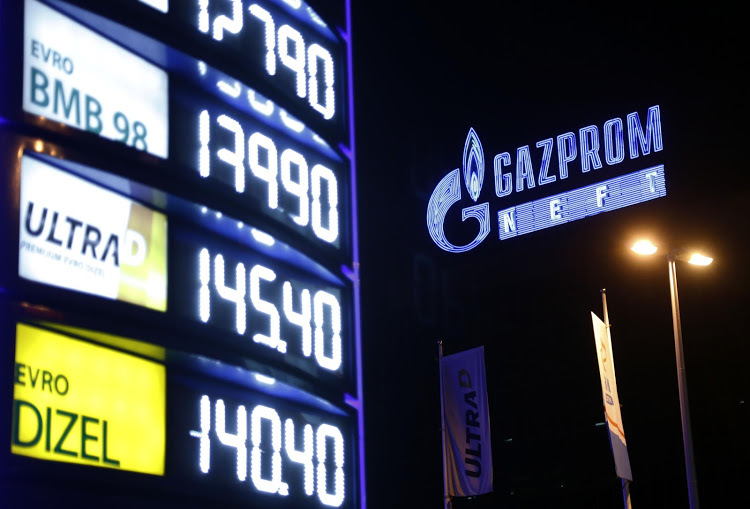 "There are prospects and the prospects are related to falling domestic gas production in Europe, while demand for gas is rising," Alexander Medvedev, a deputy of Miller, told an AGM of Gazprom’s shareholders. "Gazprom has all the capacity to supply gas to Europe in the amount Europe needs." Analysts say sea-borne LNG supplies from the US may undermine Gazprom’s position on the European gas market. The US exported its first cargo of LNG gas last year. Some European nations, including Lithuania and Poland, started to reduce their dependence on Russian pipeline gas by importing LNG from the US. However, Miller said that due to high production and transportation costs, LNG from the US will not be competitive in Europe, noting that US LNG consumption in Europe last year was a mere 2-million tonnes. Miller also said on Friday that Gazprom plans to start supplying Bulgaria, Serbia and Hungary via a new gas link after it finishes the second line of the Turkstream gas pipeline, which will run from the Russian Black Sea coast. Turkstream is a part of Moscow’s efforts to bypass Ukraine as a gas transit route to Europe, which receives about a third of its gas needs from Gazprom, which is building the Turkstream in two lines, with capacity of 15.75 bcm of gas a year each, the first of which will supply Turkey and the second southern Europe. The second line of the Turkstream will be directed to Bulgaria, that country’s Prime Minister Boyko Borissov said last month after talks with Russian President Vladimir Putin. Said Miller on Friday: "Gas via the Turkstream, at the start of 2020 ... could run via the gas transmission systems of Bulgaria, Serbia and Hungary ... The first and the second lines of Turkstream will be operational by the end of 2019."